This theme covers a broad range of techniques ranging from protein crystallography (both synchrotron and X-FEL), electron microscopy (EM), biophysics, ultrafast spectroscopy, molecular dynamics and neutron scattering – a unique strength of RCaH. The introduction of a chemical biology strength with the Naismith group has acted as a bridge to the world-leading XCHEM group. The arrival of the national EM centre at Diamond Light Source has opened exciting opportunities for RCaH. Structural & Molecular Biology is fully engaged with all Central Facilities – electrons, X-rays, lasers and neutrons. This will ensure it is also fully engaged with, and a partner of, the Rosalind Franklin Institute (RFI) when it opens in 2020. Our interests include structural biology, protein engineering, biomolecular interactions with 2D materials such as graphene, and nanopore sequencing. HACE1 protects against haemodynamic and oxidative stresses, important contributors to major diseases such as cardiovascular disease, neurodegeneration and cancers. A major aim is to establish how HACE1 captures its substrate proteins which include the widely different Rac1, optineurin and TRAF2. This is based on our discovery of a new mode of action of Staphylococcus aureus effector protein Efb involving disruption of host blood cell complexes that are important for initiation of aberrant inflammation. We are studying the interaction of Efb with P-selectin and its consequent ability to disrupt P-selectin interaction with its ligand PSGL-1. We are using proteins to render materials such as graphene biocompatible and programmable. For example, by exploiting the synergy between graphene and cage-like supramolecular multi-enzyme E2 complexes, we have developed a generic, modular bio-platform construction strategy. KIBRA is important for memory and cognition, and organ size control. We revealed a mode of phosphoinositide interaction with KIBRA C2 domain not previously observed for any of the other 125 known C2 domains. Our group is interested in the structural and functional characterisation of membrane proteins that are involved in bacterial multidrug resistance and human diseases. Our group is interested in the structural and functional characterisation of membrane proteins that are involved in bacterial multidrug resistance and human diseases. We use protein X-ray crystallography for their structure determination. We are also involved in developing methods for membrane protein crystal data collection including phasing. These are some of our research areas. The group’s primary interest is to understand how bacteria use ABC transporters and multidrug efflux pumps to export structurally unrelated antibiotics out of the cell, thus conferring them with resistance. From their crystal structures, we want to identify novel molecules that can inhibit their function. We are interested in exploiting novel antibacterial peptides that bacteria produce under nutrient starvation for survival that could potentially be used as treatments for multidrug resistance. To date, we have determined the structure and function of such peptides in complex with outer membrane receptors. Human receptors and transporters are involved in several processes and mutations can lead to serious diseases. Transporters are also involved in the export of anticancer drugs during chemotherapy. We are investigating their structure and function to understand their role in human disease. We aim to develop a system that will provide analytical tools required to obtain reliable links between polypeptide sequence, structure and function. The BioMetrology group at the National Physical Laboratory (NPL) aims to develop and establish a comprehensive system that will provide analytical tools required to obtain reliable links between polypeptide sequence, structure and function. This will enable the exploitation of properties and functionalities in a variety of biomedical contexts including: (i) host defence and bacterial resistance mechanisms, (ii) self-assembly for cell-based therapies, and (iii) protein aggregation implicated in neurodegenerative diseases. The group is particularly focused on structure-activity relationships of membrane proteins and other pharmacological biomolecules using X-ray crystallography, time-resolved serial femtosecond crystallography and cryo-electron microscopy. We develop and use a variety of biophysical methods to characterise the interactions of biological macromolecules in solution and in the cell. The Biophysical Methods Group is led by Dr David Scott (University of Nottingham), Senior Molecular Biology and Neutron Fellow (ISIS/STFC). We develop and use a variety of biophysical methods to characterise the interactions of biological macromolecules in solution and in the cell. These include proteins (soluble and membrane-bound), protein/DNA complexes and nanoparticles. We have expertise in analytical ultracentrifugation, calorimetry, structural methods and various spectroscopies. We are always interested in new collaborations with groups and individuals, both nationally and internationally. We are an active participant of the University of Nottingham BBSRC DTP and the MRC IMPACT DTP (Nottingham/Birmingham/Leicester), with students from both schemes placed in our group. Through RCaH, we can act as supervisors on any other collaborative DTP/CDT. RCaH is a very well resourced, friendly and collaborative environment to place a fellowship. Within the group we already have visiting scientists with their own fellowships, but are always happy to discuss placements or sponsorships of fellowships. Please contact Dr David Scott (dave.scott@rc-harwell.ac.uk) in the first instance to discuss any projects. Our scientific focus is on understanding the biophysical basis for the formation of signal transduction complex of GPCRs. We have built one of the best equipped biosensor (surface plasmon resonance) laboratories in European academia. The lab is equipped with six permanent biosensor instruments (capital costs of over £1 million), including six GE Biacores (three Biacore T200s, two Biacore 3000 and one Biacore 4000) and a Sierra Sensors MASS-2 instrument. The lab is recognised internationally for its leading capabilities in developing biophysical screening methods, including fragment screening of membrane proteins, such as native G protein-coupled receptors (GPCRs). Our scientific focus is on understanding the biophysical basis for the formation of signal transduction complex of GPCRs. The lab has its own protein production and purification capabilities for producing GPCRs, to support biophysical analysis. 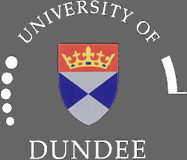 Commercial activities are undertaken through the University of Dundee spin-out company, Kinetic Discovery Ltd.
We use a combination of X-ray crystallography, electron microscopy, biophysical methods and biochemistry to investigate how different enzymes work. CCP4 produces and supports a suite of programs that allows researchers to determine macromolecular structures by X-ray crystallography and other biophysical techniques. CCP4 exists to produce and support a world-leading, integrated suite of programs that allows researchers to determine macromolecular structures by X-ray crystallography and other biophysical techniques. 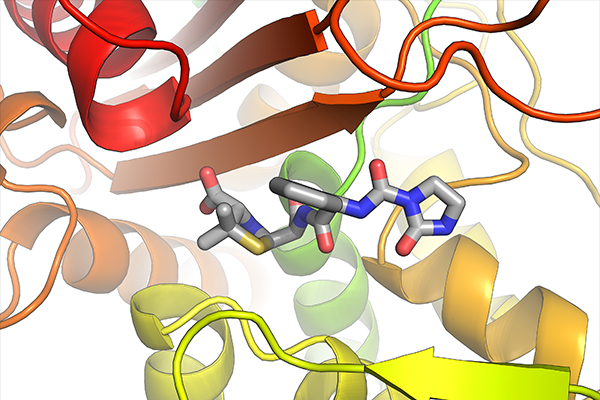 CCP4 aims to develop and support the development of cutting-edge approaches to experimental determination and analysis of protein structure, and integrate these into the suite. 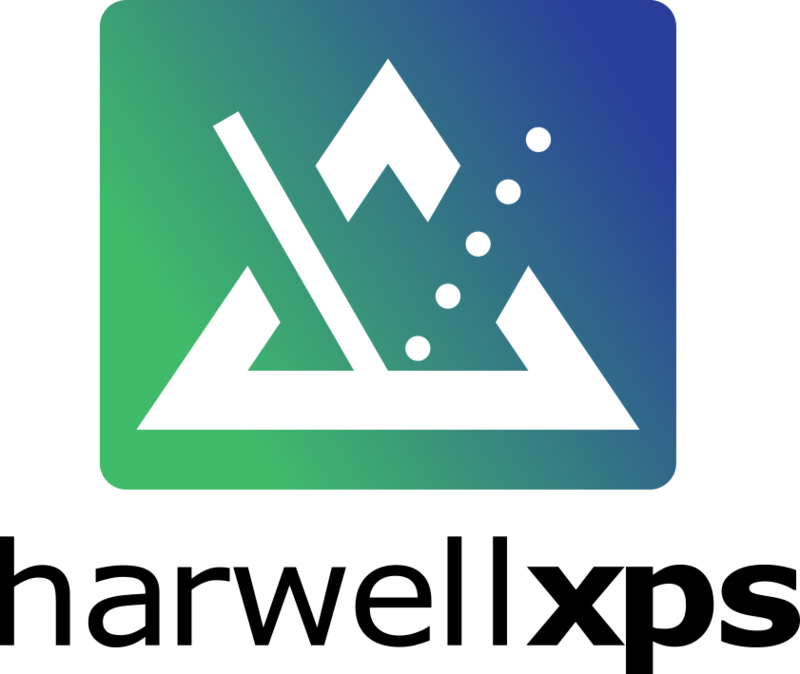 CCP4 is a community-based resource that supports the widest possible researcher community, embracing academic, not-for-profit and for-profit research. CCP4 aims to play a key role in the education and training of scientists in experimental structural biology. It encourages the wide dissemination of new ideas, techniques and practice. CCP-EM supports users and developers in biological cryoEM, including single-particle analysis, tomography and diffraction. The Collaborative Computational Project for electron cryo-microscopy (CCP-EM) supports users and developers in biological cryoEM, including single-particle analysis, tomography and diffraction. Build a UK community for computational aspects of cryo-EM. Provide a focus for the cryo-EM community to discuss computational issues, and to interact with the broader structural biology community. Support the users of software for cryo-EM through dissemination of information on available software and directed training. Collate, develop and distribute a CCP-EM software suite to help users processing cryoEM data. Provide support for software developers including porting, testing and distribution of software. Our research aims to obtain an integrated, atomistic understanding of the molecular mechanisms of large viral and cellular protein complexes and assemblies. This research programme is aimed at obtaining an integrated, atomistic understanding of the molecular mechanisms of large viral and cellular protein complexes and assemblies by developing novel technologies for high-resolution cryo-EM and cryo-ET, with advanced, complementary methods for biological analysis and computational modelling. Such large systems have challenged the limits of structural biology methods. correlative and integrative structural biology using light and electron microscopy. We will apply these technologies to move towards a clearer understanding of the intricate interplay between pathogens and host cells. These efforts will have a broad impact well beyond this research. We are interested in HIV-1 capsid assembly, maturation and its interactions with host cellular factors that inhibit or enhance viral infectivity. We are also working to understand the molecular mechanism underpinning the remarkable bacterial chemotaxis sensory systems that are crucial for colonisation and infection. Understanding the structural and dynamics details of these large systems, at atomic level, is critical for developing new anti-HIV/AIDS and antimicrobial drugs. We aim to understand the mechanisms of epigenetic modifications that are linked to a number of pathologies. Epigenetic modifications (reversible, heritable genetic changes that occur without changes in DNA sequence) lead to chromatin remodelling, altered gene expression and changes in the cellular phenotype. They have therefore been linked to a number of pathologies, including cancer, cardiac disease, neurological disorders, infections and inflammatory diseases. One epigenetic process is histone modification. This is important because gene regulation in eukaryotes requires the coordinate interaction of chromatin-modulating proteins with specific transcription factors. Gene activation and repression are specifically regulated by histone modification at distinct residues. Understanding these mechanisms can provide new and specific therapies for pathologies caused by these processes. Our research projects focus on two protein families that have been identified as potential therapeutic targets. One aim is to investigate the structure and function of proteins binding to histone-modifying proteins. A second aim is to structurally characterise potential inhibitors of lysine demethylases and histone acetylases and elucidate the structural and functional relationships between these proteins and potential small molecule inhibitors. This will help the process of using structure-based optimisation to find potential drug molecules for pre-clinical assessment. The project involves the use of established biochemistry and molecular biology techniques and structure determination by X-ray crystallography. The long-wavelength macromolecular crystallography beamline I23 is a unique facility for solving the crystallographic phase problem. We have designed, constructed and commissioned the novel long-wavelength macromolecular crystallography beamline I23 at Diamond Light Source. This unique instrument allows X-ray diffraction experiments in vacuum in a wavelength range of 1.2 – 5.9 A with a semi-cylindrical X-ray diffraction detector. We are pioneering experiments using this wavelength range for experimental phasing experiments exploiting weak anomalous signals from native proteins without labelling and using anomalous contrast to identify light atoms of biological significance such as P, S, K and Ca. Our group has a strong background in structural biology, sample handling and instrumentation for synchrotron and XFEL experiments. The Membrane Protein Laboratory (MPL) is a Wellcome Trust funded user facility that is part of the macromolecular crystallography village at Diamond Light Source. The Membrane Protein Laboratory (MPL) is a Wellcome Trust funded user facility that is part of the macromolecular crystallography village at Diamond Light Source. 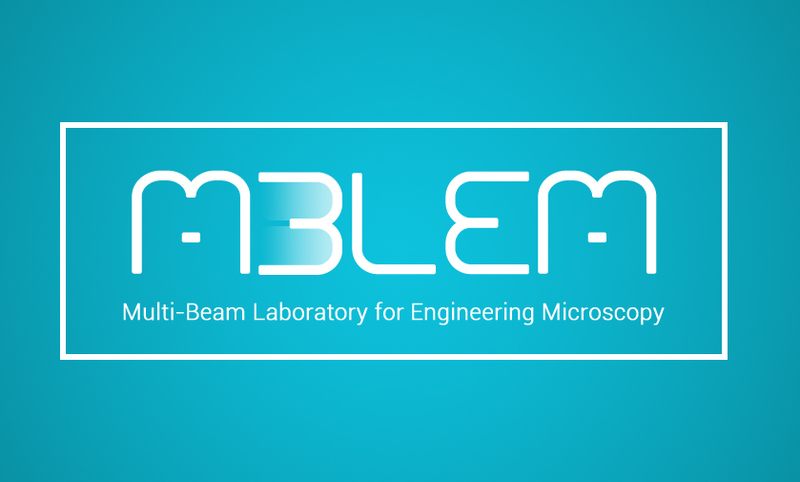 The MPL is focused on the efficient determination of relevant membrane protein structures by combining recently developed high-throughput technologies for protein production and crystallisation with the X-ray diffraction data collection system at Diamond. Since 2010, the MPL has supported well over 100 applications from all around the world to use its facilities and has contributed to the solving of one membrane protein structure a year since 2012. The MPL, located at RCaH, has access to state-of-the-art equipment necessary for membrane protein expression, purification and sample preparation for X-ray crystallography and cryo-electron microscopy. All MPL equipment and methodologies are available to RCaH scientists, visitors and collaborators and we have dedicated research scientists available to support all users of our facility. Applications for access to the MPL should be made by following the instructions on our website. The Naismith lab works in the broad area of protein structure and function, with particular interest in the synthesis and transport of complex natural products. Jim Naismith’s lab works in the broad area of protein structure and function. We are particularly interested in the synthesis and transport of complex natural products. The lab has a long track record in the synthesis of complex oligosaccharides by bacteria including their transit through and anchoring to the outer membrane. We reported the first non-beta barrel protein in the outer membrane that allows polysaccharides to form the capsule that shields the bacteria from the immune system. We have also studied the transit of molecules from the outside world through the outer membrane of gram negative bacteria. We discovered the physical basis of mechanosensation by bacteria, pioneering the use of novel electron paramagnetic resonance (EPR) technologies. Recently we have worked on determining the molecular mechanisms at work in the ribosomal peptide biosynthesis (RiPP systems). In the laboratory we use crystallography (including membrane proteins), electron microscopy, biophysics, chemical biology, chemical synthesis and spectroscopy. Our goal is to structurally enable the development of new medicines, either directly as antibiotics or through chemo enzymatic synthesis of macrocycles. We focus on X-ray free-electron lasers, whose intensity yields high-quality structures even for submicron size crystals. Life is dynamic and function is not compatible with the cryogenic conditions used in traditional crystallography and cryo-EM. We focus on X-ray free-electron lasers (XFELs), which are located in the USA, Japan, Korea, Germany and Switzerland. Even submicron size crystals yield high-quality structures because of the unparalleled intensity of these XFEL facilities. Serial femtosecond crystallography (SFX) methods exploit slurries of microcrystals, the XFEL fs pulse duration, and are conducted at ambient temperature. This allows us to couple structural biology with functional dynamics. We are also developing strategies for dynamic structural biology at Diamond’s VMXi beamline. New X-ray sources create new opportunities; as a result, we are entering an era of dynamic structural biology. This is as much a concept, as a set of tools to collect as much data as possible, from every sample and X-ray pulse, and enables one to create atomic resolution ‘movies’ of macromolecules engaged in catalysis. Thus, time-resolved crystallography, a long-standing frontier challenge for the field, is achievable with serial methods at XFELs and at advanced synchrotron beamlines. PPUK will be part of the Rosalind Franklin Institute (RFI) and closely linked to the Central Facilities on the Harwell campus. It aims to develop new and innovative methods and to work in partnership with academic groups and industry to enable uptake of the technology. PPUK has an established pipeline for protein production based on the technology developed by the Oxford Protein Production Facility, involving construction of multi-purpose vectors (e.g. for producing complexes, and membrane proteins), high-throughput expression screening in different cell hosts (microbial, insect and mammalian cells) combined with scale-up to multi-litre culture volumes and downstream processing. New synergistic technology platforms will be developed to underpin the RFI and provide new capabilities to the user community, including production of single-domain antibodies and chaperones for the structural and functional analysis of proteins. In particular, this includes the stabilisation of flexible channels or complexes and the preparation of complex samples for and presentation to the beam in cryo-EM. Our interests focus on developing and implementing techniques to extract information from challenging samples. The crystallisation facility is for soluble and membrane proteins within the RCaH and is responsible for a seamless interaction with the Diamond VMXi beamline. This beamline will operate entirely automatically, collecting X-ray diffraction data from macromolecular crystals in situ (in the tray in which they are grown). Our research uses a targeted structural and functional approach to understanding at the molecular level how bacteria cause disease. We have focused our efforts on bacterial pathogens that continue to pose a significant health risk to the very young and elderly. Within these pathogens, we have identified a number of vital processes to characterise and assess as targets for drug discovery to combat the rise in antimicrobial resistance (AMR). Our interests lie predominantly in understanding the mechanisms used by bacterial pathogens to adhere to host cell surfaces and the structure, makeup and regulation of bacterial biofilms. We are developing methodology in computational and synthetic chemistry, exploring how best to harness the technique to proceed rapidly to potent compounds. The XChem Lab in the RCaH is an extension of the XChem initiative, a joint lab spanning Diamond and SGC-Oxford, which developed and runs Diamond’s very successful XChem facility for crystal-based fragment screening. At the RCaH, we are developing methodology in computational and synthetic chemistry to progress XChem hits to credible potency rapidly and cheaply. The XChem facility allows hundreds of fragment molecules to be screened against crystallised protein targets, much faster than previously but with the high sensitivity of the crystallographic experiment. The readout thus yields directly the high-resolution structural information, i.e. specific configurations and positions of the bound fragments, needed to compute follow-up molecules. To help analyse this uniquely rich dataset, we are building cloud- and HPC-based computational chemistry tools that can both enumerate synthetically and/or logistically accessible follow-up compounds and aid the decision process as to which subset to obtain, from both suppliers and chemist collaborators. In the first instance, we seek to capture and guide best practice in what currently is tedious and requires arcane expertise. This work forms the foundation of the nascent CCP-CompMedChem initiative. To investigate how to expand the number of compounds that can be accessed practically, we are exploring how robotic synthesis can be combined with the XChem experiment to allow evaluation of hundreds rather than tens of follow-up compounds. The workhorse is currently the laughably cheap ($4,000) Opentrons liquid-handling robot. This work aligns exactly with the chemistry theme of the Rosalind Franklin Institute.